It’s getting close to kick-out time. 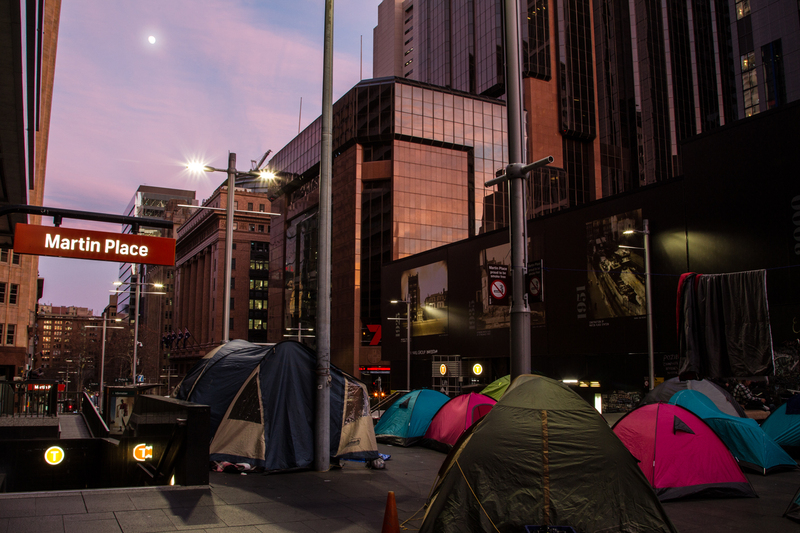 With only hours before the forced removal of the financial district’s homeless population is expected to begin, every second person surrounding ‘Tent City’ in Martin Place appears to be either a reporter or a charity worker. Not all are sticking around for the spectacle. Steven O’Lachlan and his friend Lawrence are waiting for the 11.23pm train from Martin Place to Kiama. Every night they take the longest, uninterrupted ride their Opal cards can afford as a means of temporary accommodation. Tent City’s final night is pleasantly mild in contrast to the freezing wind tunnel that usually defines Martin Place when the sun drops during winter. I ask Steven what brings him and others back to this inhospitable part of the city. Our conversation is interrupted several times by people offering packets of socks and underwear. A large dining table is being folded up and plates of chocolate and banana cake are passed around. 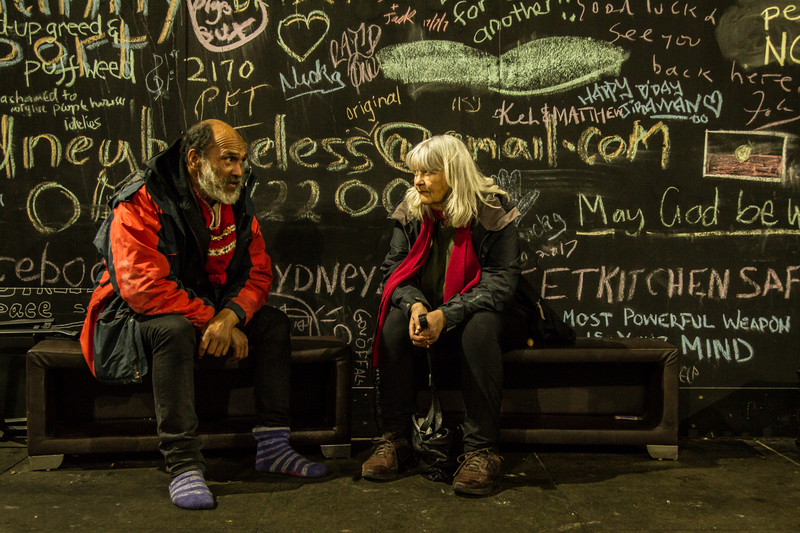 Lanz Priestley, the unofficial leader of the homeless group is sitting along a wall near Macquarie Street. 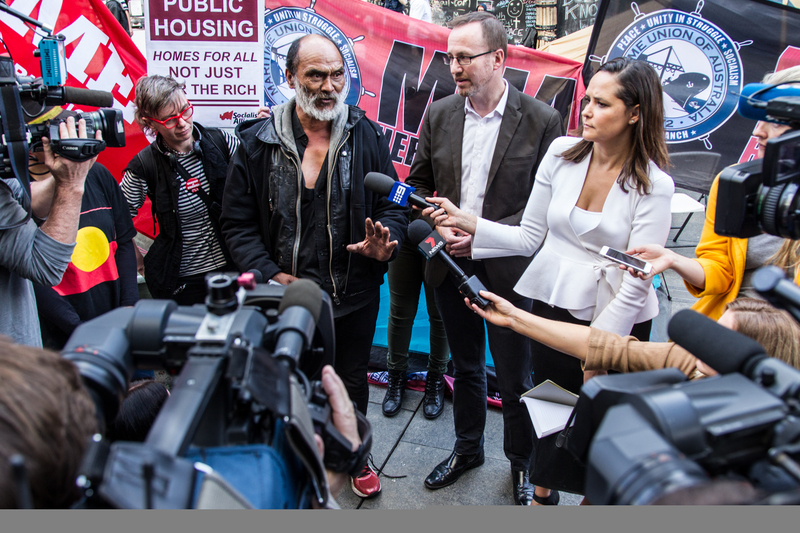 On Friday morning the Berejiklian Government’s targeted legislation – granting police extra ‘move-on’ powers on Crown land within the City of Sydney – was given final assent and passed into law in order to deal with Tent City. 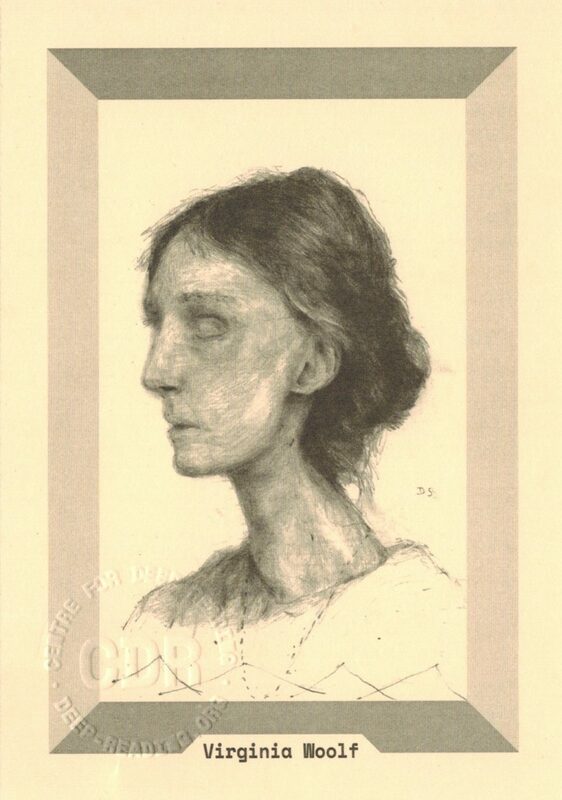 At the same time, a disturbing story about Priestley appeared in The Australian newspaper. The ‘Mayor of Martin Place’, as he’s been called, was depicted as an attention-seeking criminal with a violent past and an unreliably stated biography. This much can be said. 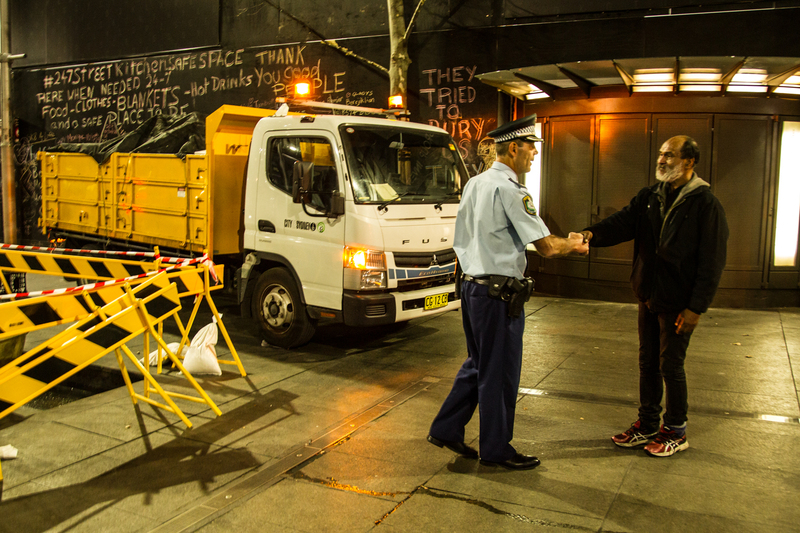 After Lanz Priestley’s experiences with Occupy Sydney in 2011, the sometimes builder and furniture removalist, who reputedly spends about half his time living on the streets, emerged as a highly vocal activist for homeless people in the city, scathing in his critiques of everybody from government policy makers to NGOs and charity organisations. 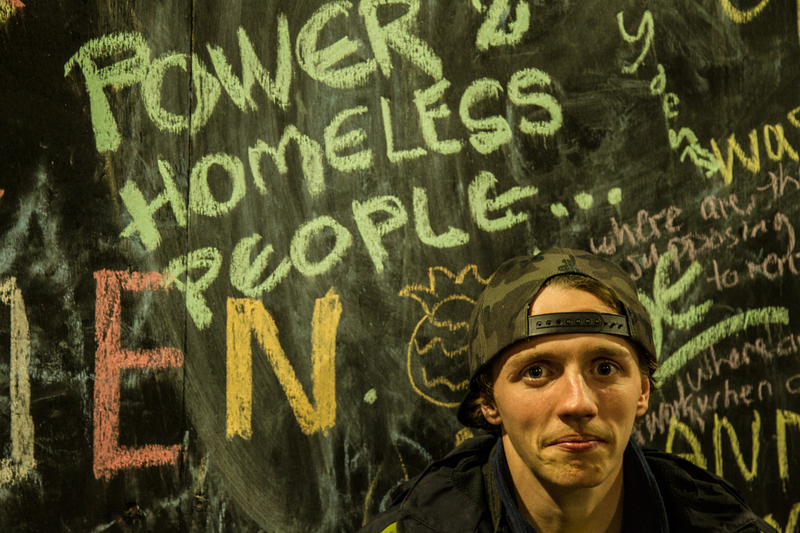 Priestley became the founder of the 24-7 Street Kitchen and Safe Space over six months ago. This was a co-op run by homeless people for homeless people, making use of public donations and gifts, at its peak serving up to 500 meals a day and finding people jobs and accommodation as well. It first took root under the hoardings of a building site opposite the Reserve Bank in the CBD. Food, clothing and safety at night were early motivators for people gathering around it and forming a community. City of Sydney figures for February of this year listed 948 people homeless in the city centre: 433 of them sleeping rough and 489 making their way through temporary and crisis accommodation, with another 26 in hospital. Homelessness Australia put the state-wide figure for NSW at just over 29,000. 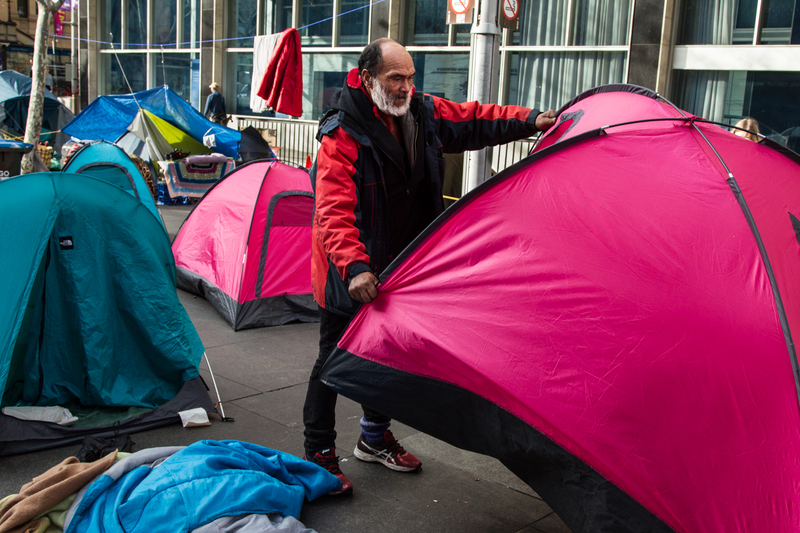 At the start of this week, National Homelessness Week, there were about 50 tents pitched in Martin Place, with around 100 people living in them. Arguments between NSW Premier Gladys Berejiklian and Sydney Lord Mayor Clover Moore over whether this was a Council or State issue to sort ended with the collapse of a supposed “truce” that Moore had negotiated with Priestley. It had involved the creation of what would be a temporary 24-hour “safe space” where the homeless camp could be moved before finding individuals more permanent accommodation. 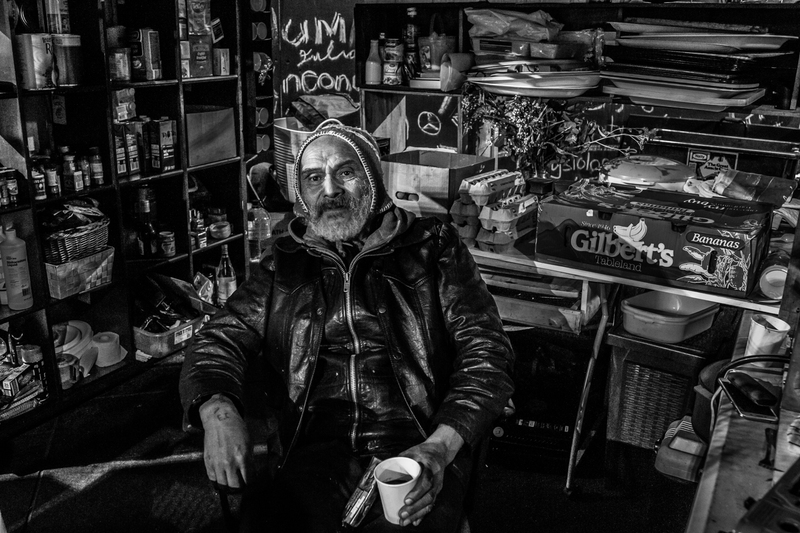 Fears of a community being splintered – and criticism of accommodation offers that were long-term unaffordable and impractical – merged with darker views of Lanz Priestley, as a Machiavellian stirrer harnessing more genuinely homeless people to his own political ends. Monday’s good news had soured into confusion by Tuesday and the camp stayed on at Martin Place. With public concern mounting and the likes of shock-jock Alan Jones buying into the debate, Gladys Berejiklian expressed a reluctant need for her State Government to act. By placing the matter squarely back in the Premier’s hands, Moore had skillfully out-manouvered the State Government. The dispute between Moore and Berejiklian threatened to overshadow a now intensely visible public issue: what to do with the increasing numbers of homeless in our city? Entirely charming, articulate and welcoming, Lanz Priestley certainly has a talent for knowing exactly what to say. When I mention the burden of his elevated profile in the wake of The Australian’s report he tells me he’s happy for his time in the spotlight to pass. Priestley’s more worried about how the police intend to use their new ‘move on’ powers today. 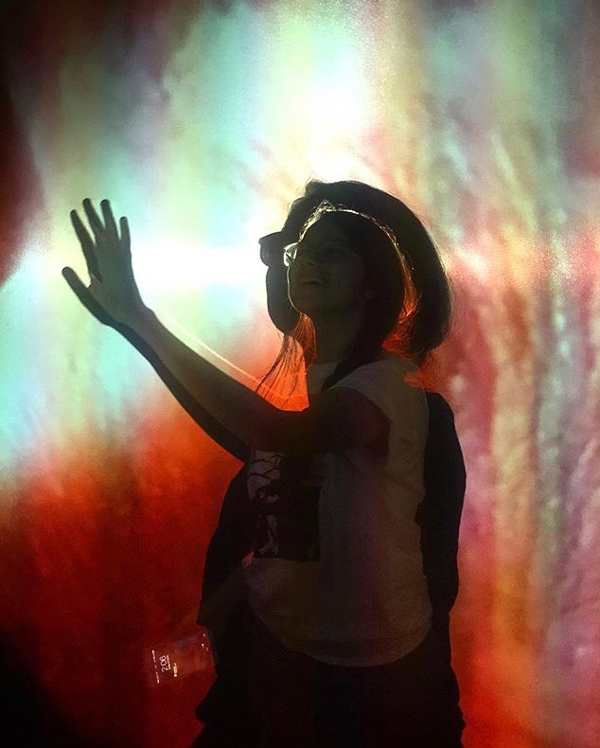 Have any politicians bothered to visit? As we speak, a middle-aged woman who is obviously a Tent City resident sits at the communal piano and, for the next 40 minutes, plays Auld Lang Syne in a continuous loop. 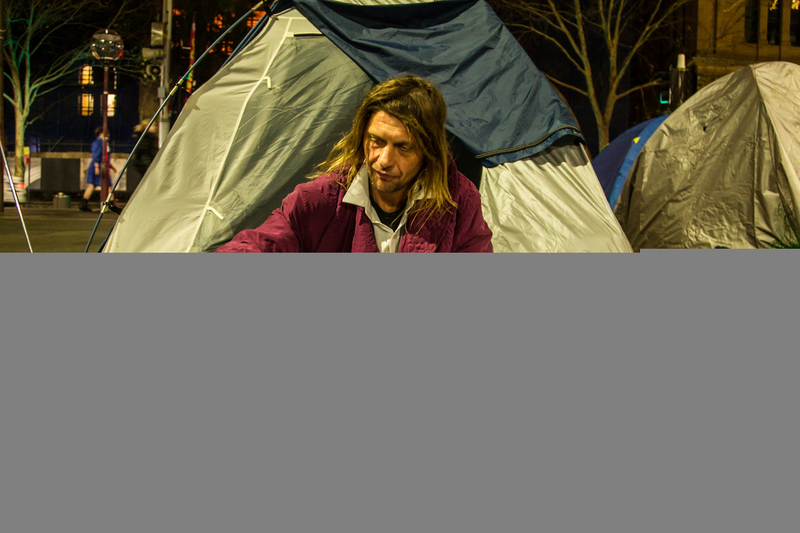 Lanz has been in camp since December 17, and is resigned to the likelihood Tent City will be removed within hours. I ask him why the group made their stand in Martin Place. The results of “their work” becomes apparent at 8.30am. 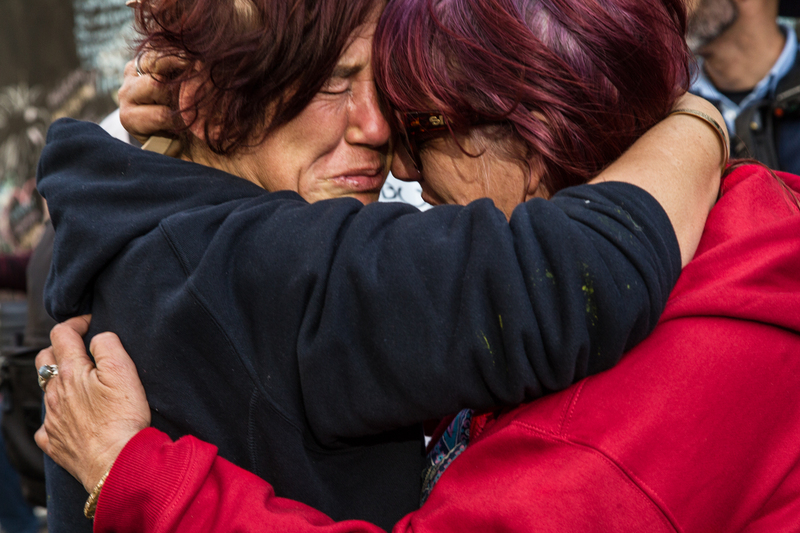 After a sleepless night, Priestley calls Tent City residents together. From morning to lunchtime, belongings are bundled up into black rubbish bags. A scrapheap of disassembled tents builds between Macquarie and Castlereagh Streets. 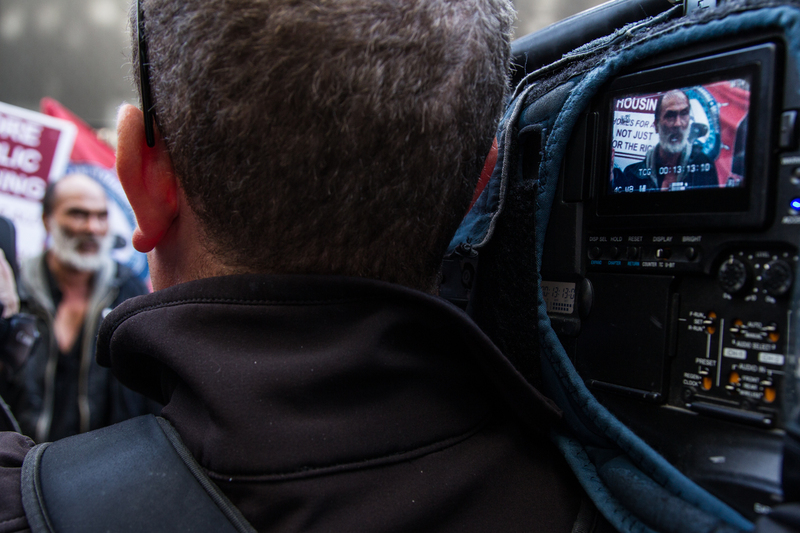 Speaking to the ABC, Priestley reflected on what the homeless vigil has achieved. “Well I think there’s a clear conversation out there now, that government and NGOs who have been telling the public that they’ve got this – I think it’s in the public eye now – that they clearly haven’t got it. By dusk, Tent City has disappeared. Clearly exhausted, Priestley is loading gear onto a City of Sydney truck whilst fuming about a lost hot water urn. Earlier in the day, he was informed 350 police officers were waiting on standby, should there be any trouble. Ex-residents sweep the tiled surfaces they’ve been sleeping on, picking up cigarette butts stuck between cracks, showing an impressive degree of civic pride. 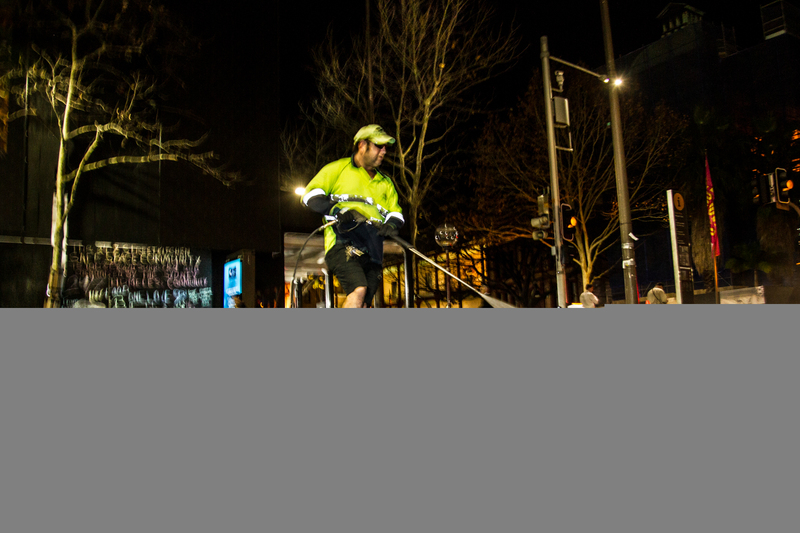 A council street-sweeping truck with a high-pressure water rig sits at the top of Martin Place, awaiting the all-clear. Lanz Priestley is about to leave Martin Place. The council boys throw a tarp across the back of their ute and half-hitch it to the side-rails. He walks around the area shaking hands with friends, police and ex-neighbours. Where are the people tonight? Homeless people – ex-residents of Tent City – will sleep in Martin Place tonight, and the state has no problem with that. 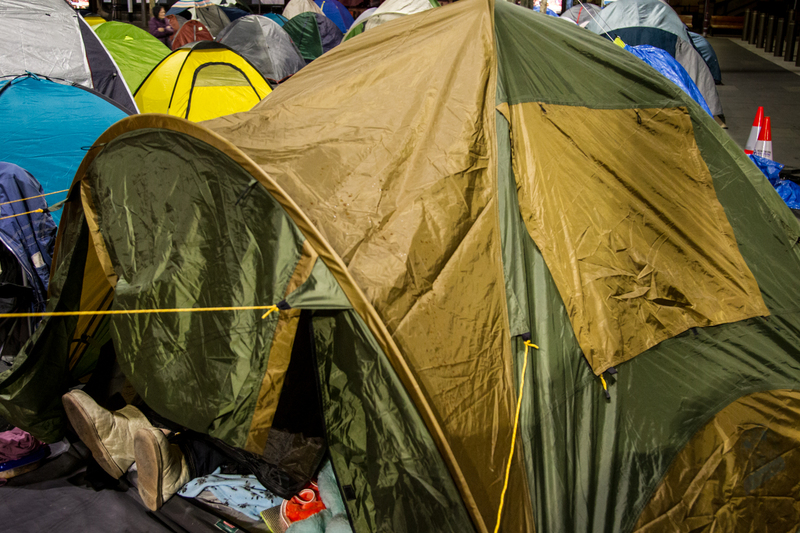 It’s still okay to sleep rough in Martin Place – as long as you don’t afford yourself the luxury of a tent. Meanwhile, all 79 units in the state-owned Sirius building constructed for social-housing remain vacant a few kilometres away in The Rocks. Priestley leaves Martin Place at 6:05pm on Friday night in the now fully-loaded council truck, sandwiched between a council employee and a police officer. Apart from chalk graffiti on the construction cladding opposite the Reserve Bank building, little evidence remains of Tent City. Then the water-pump fires up, the truck lights flick on, and the council boys with the gurney come in and finish the job. 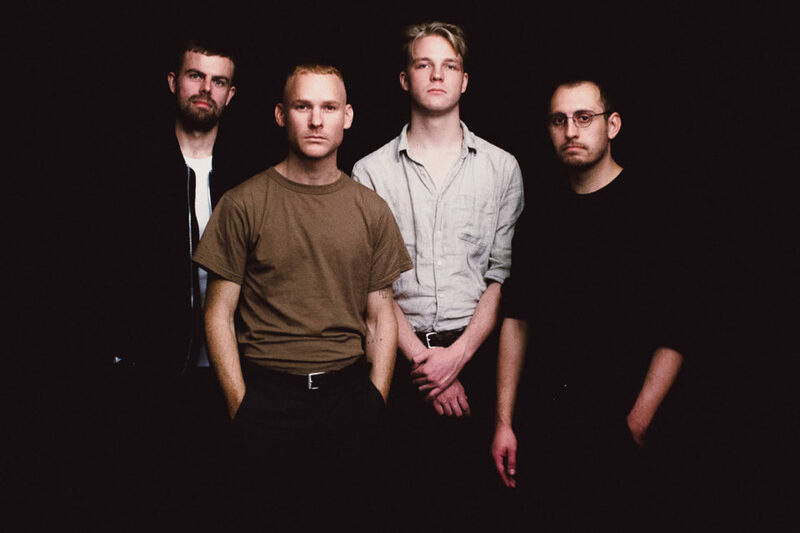 It’s live where the band really prove themselves ... pure muscular romantic thrills.